LEGO fan and flickr.com member soccersnyderi shared this unique MOC, an insect terrarium full with tittle bugs. For those who haven't heard the term, a terrarium is a glass container like an aquarium but it is for small land animals or insectoids and usually filled with various plants. The builder managed to make his creation. 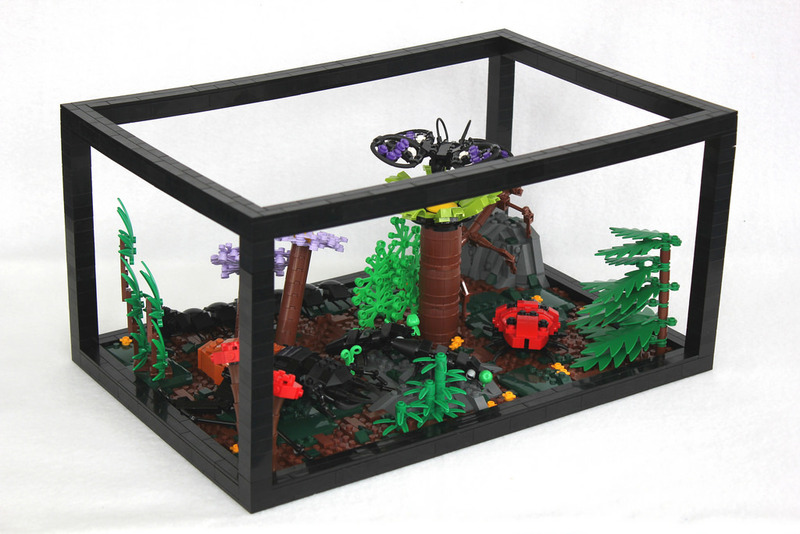 The terrarium contains a beetle, two ants, a millipede, a butterfly, a ladybug, and a stick bug. 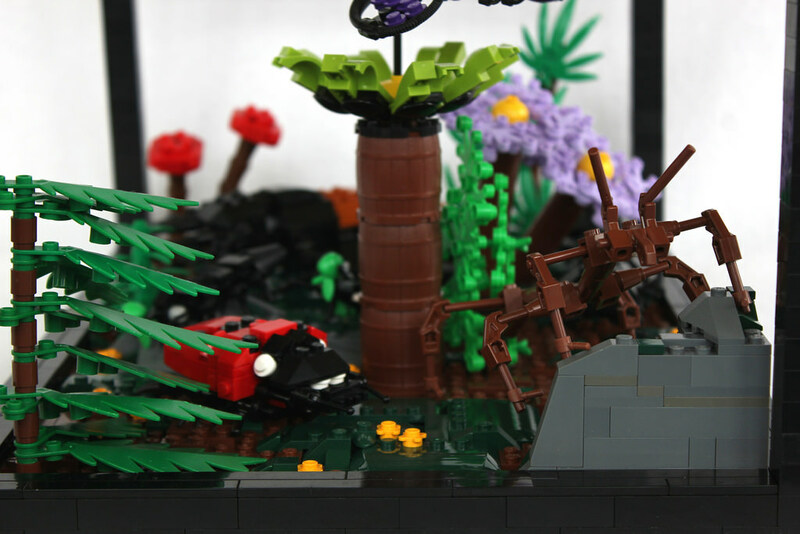 My favorite one is the stick bug on the right which camouflage itself by looking like a wooden stick.